If you were injured due to someone's negligence then you have the obligation to get financial help from their mistake. Do not hesitate to reach out to our Hawaii Paralysis Attorneys. If you are someone who has fully functioning legs and arms then may be categorized as an able body person. Able body people generally go through life without having to consider the needs of someone who is not able-bodied. For example, if you have never had to use a wheelchair then you may never consider how the width of a door can be really challenging or how off-putting it is when a restaurant or business only has stairs. If you have never suffered from paralysis then you may never understand the symptoms or medical expenses that come with paralysis. Hawaii Paralysis Attorneys at Kurzban, Kurzban, Tetzeli, & Pratt are here to tell you that you are not alone. The experiences of able-bodied people are the majority as only 2% of people in the United States deal with some form of paralysis equaling to about 1.5 million people. However, recent studies have shown that the number may be wrong. There could be up to 4 million people suffering from some kind of paralysis. The reason for the influx of numbers is because, as stated from the Reeve Foundation, paralysis encompasses a multitude of definitions that it is sometimes hard to categorize paralysis. 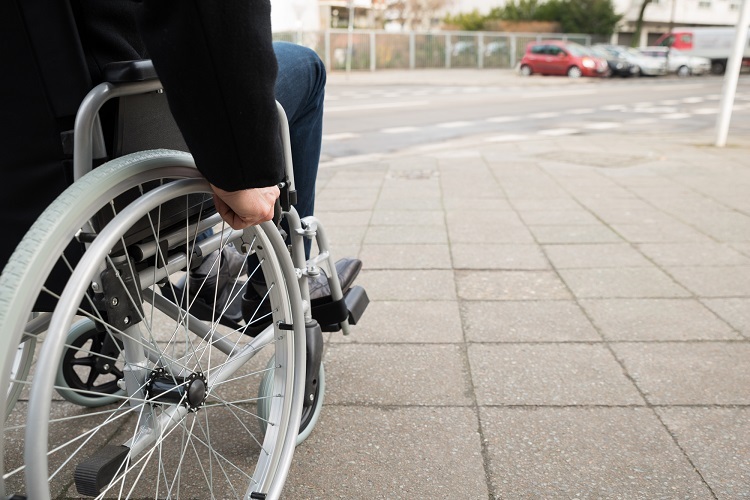 If you are among those who are living with paralysis due to an injury then our Hawaii Paralysis Attorneys at Kurzban, Kurzban, Tetzeli, & Pratt can help you seek the compensation needed to pay for the special medical attention you will need throughout your lifetime. There are many types of paralysis, but there are some major categories that help to define the kind of paralysis you may have. For example, there is partial, complete, permanent, temporary, flaccid, and spastic. The most known is complete and permanent. If someone is told that they have complete paralysis then they have no control over any muscles at all. Permanent means that your ability to regain control of the muscles may never happen. The impact of such news is devastation particularly if you were once an able body. Dealing with paralysis is more than physical. Paralysis also has a mental condition as you are living and dealing with a whole different kind of circumstance. If an injury caused you to enter this new kind of lifestyle then whoever is responsible should be held accountable. The medical needs for someone who is dealing with partial paralysis can range from $40,000 to $200,000 depending on your needs. This number does not showcase the initial medical expense from an injury which can land someone into the millions. Getting help for your paralysis is not a handout. If you were injured due to someone’s negligence then you have the obligation to get financial help from their mistake. Do not hesitate to reach out to our Hawaii Paralysis Attorneys at Kurzban, Kurzban, Tetzeli, & Pratt. We have the knowledge, resources, and ability to get your story heard and get the compensation you deserve. Call 808-800-2445 or click here to share your story with our Hawaii professional attorneys at Kurzban, Kurzban, Tetzeli, & Pratt today.